Happy New Year! Yes, I’m a bit late, but between the holidays, family, working AND a child’s broken tib/fib it’s hard to catch a breath! So it’s time to catch up. First, my family (both brothers and their families) joined us for the Christmas holidays. There were nine of us living and skiing together. It’s so much fun to ski with them. 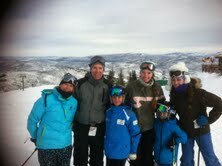 This is how we started skiing and along the way wives, husbands, nieces and nephews have joined us. The banter between my brothers and I still hasn’t changed. They really think they can beat me, although, I’m not sure they ever did. 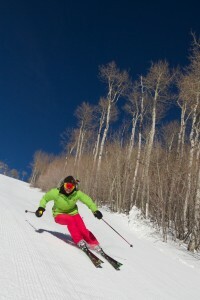 In fact, the only person around here who has that bragging right is Deer Valley’s own Ski School Instructor, Andi Wieser. He took my time down by .11 after 16 years of pacesetting on the Nastar course. WOW! That’s a long time. One of the best parts about skiing with the family is watching my nieces get ready and keep up with the group. This is their main ski trip of the year and I have to say, they hold their own. 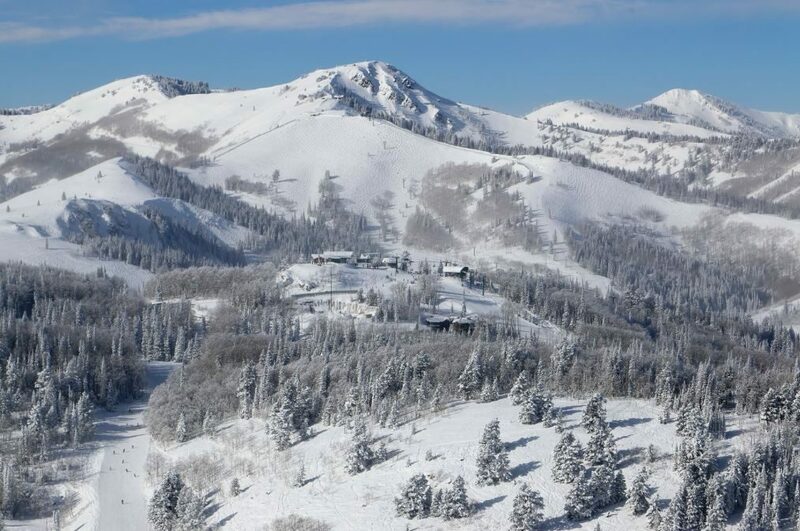 I can’t imagine the fear factor of skiing here in the Wasatch Mountains when they are from New Jersey. I have nephews that set a quick pace for their cousins. They did a great job, and I think you can see the fun factor in the picture below. I’ve also been working with my ski sponsor, Blizzard/Tecnica and skiing on my new 2014 skis! The company needed some photos of the ski tops sheets for upcoming shows and catalogs. (You can see them in an earlier post before the season started.) They ski magnificently and the graphics are sweet looking, don’t you think? It was fun to meet up with the Blizzard/Tecnica group and ski last week. I was able to show them a bit of Deer Valley and spoil them at Royal Street Café for lunch. To tell you the truth, I felt a bit uncomfortable skiing with this crowd of ‘A Teamers’, Marcus Caston, Claire Abbé, Adam Cole, photographer Frank Shine and Joe Dunn, Sports Marketing Director. I think I held my own, but the ages of these skiers really made me feel like their Mom. It would have been fun to ski with my Mom. OK- just a quick update on my son, Lucas, who I mentioned at the beginning of the post. He’ll be OK, but got his first taste of being an athlete. His goals for the season have needed to change, but he’ll be back ready and stronger for next season. 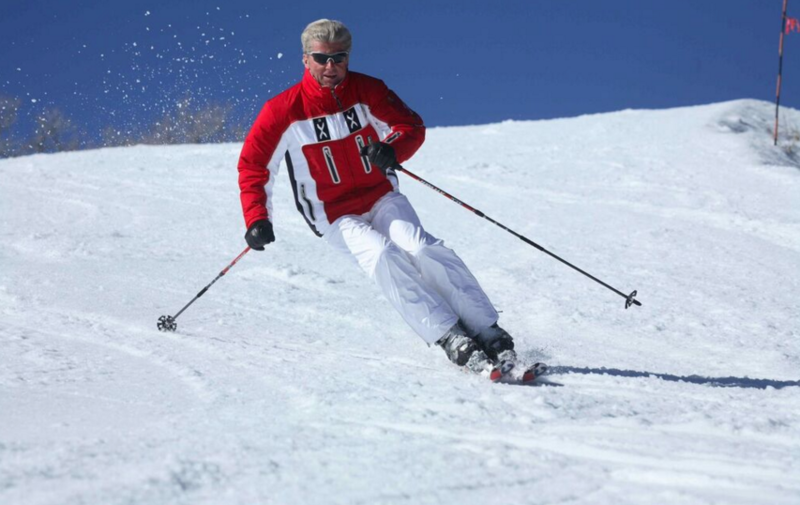 And in other news…the new snow has brought great skiing! Take a peek at the video by JF Lanvers below. I think we were all hoping for more snow, but any new snow is good snow! 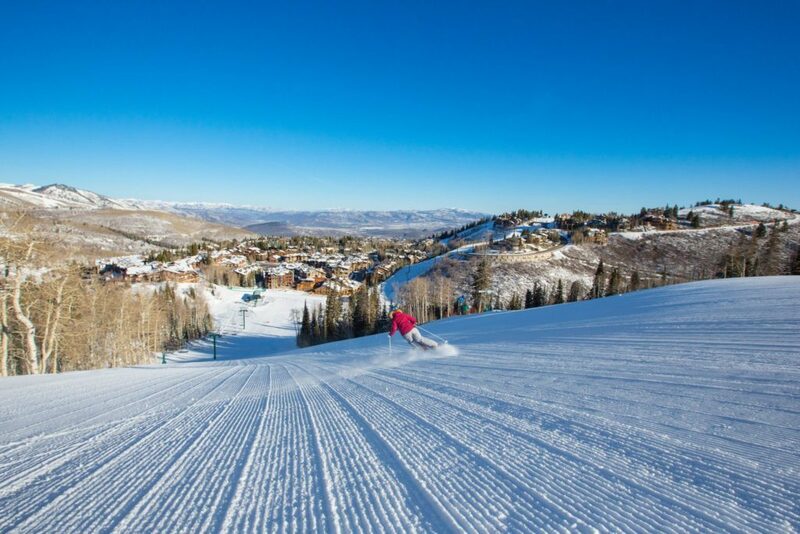 Stay warm and enjoy the slopes. Sundance is in town so you know what that means? We’re in for a snowstorm! It’s a sure thing- ‘just as hosting a Downhill, it’s guaranteed to snow. That’s the saying in the ski racing world. Be safe and see you on the slopes!